Why Öhlins? Öhlins has been an integrated part of the Motorsport industry for over 40 years. With its headquarters in Sweden, there are over 320 employees and a test center at the most demanding track in the world, the Nurburgring. Ohlins is the choice of Professional racers from Touring Cars to 24 Hours of LeMans and more. Even the new 2018 BMW M4 GT4 factory racecar is equiped with Öhlins dampers. 3DM BMW E9X 335i ‘TrackDay Series’ suspension kit development. BMW E9X M3 ‘Dedicated Track’ kit development. 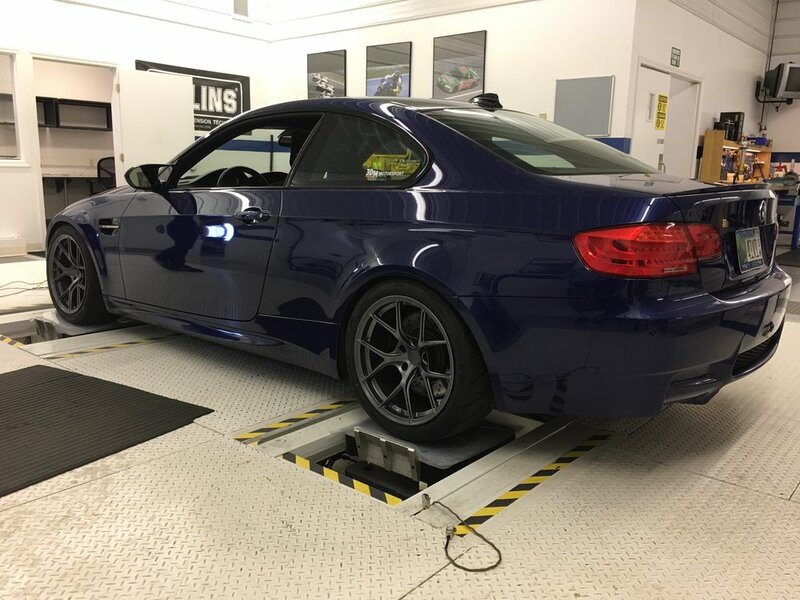 Force curve development of the BMW E9X ‘Dedicated Track’ rear damper. Once you have browsed through all of our kit options and determined which kit best suits your needs, you can link directly to the product of your choice from our “Shopping List” below. These kits are designed to use the OEM mounts. Depending on your application, you may need special tools such as a spring compressor to dismantle your old suspension if you intend to reuse the original OEM mounts. Alternately, can purchase new mounts and the associated specialty hardware before assembly. You will need to be fairly mechanical savvy to install this kit, otherwise we recommend a professional shop perform the install and setup. All Kits Include: Front dampers with perches, rear dampers, springs, rear spring ride height adjuster, adjuster tools, stickers, instruction manual. Because of the MacPherson strut front suspension, the lower spring perch is very close to the tire. Most wheel and tire packages clear the original spring from the basic kit but more aggressive fitments may rub such as a “square” setup. To help resolve this we offer two different 180 mm (7 inch) front springs to create additional clearance. Whether it be for track use or power upgrades, we have found increasing the rear spring rate helps improve the balance of these already fantastic kits. 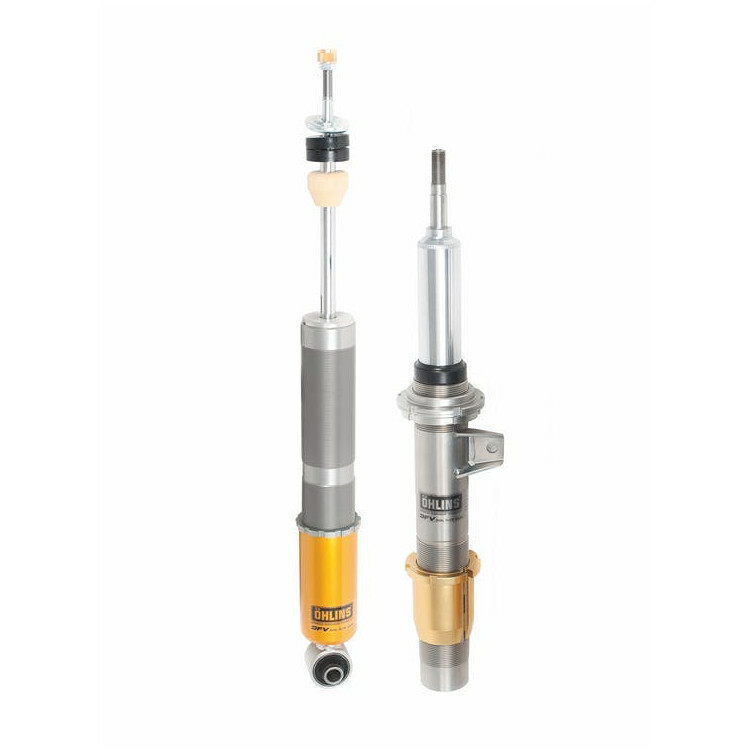 The basic kit valving is fantastic out of the box, however if you prefer even more extreme performance, we offer revalve services for Ohlins. Each kit purchased from 3DM Motorsport comes with 1 free revalve. This is redeemable at anytime. Please see our “TrackDay” and “Dedicated” kits below for more info. Our ‘TrackDay Series’ kits take the Öhlins Road and Track dampers to the next level while still retaining street-ability. * While you certainly can “set it and forget it” with these kits, they are geared more towards the person who wants to tinker with their suspension on a regular basis. These kits are not “shopping cart” developed. Tweaks to each component have been made to ensure proper fitment and the ultimate performance. The camber plates AND dampers have been modified to ensure proper bump/droop travel. Springs have been spec-ed to have sufficient compression travel and dampers and been re-valved for better performance on track. These kits have been designed for cars that see nothing but track use. They are similar in fitment to our TrackDay Series kits but with much higher spring rates and valving to match including a modified Dual Flow Valve setup. All mounts are spherical bearings. These are for the serious racer looking for the extra edge. TTX is a twin tube damper that is fully pressure balanced eliminating the risk of cavitation, enabling the use of low gas pressure which keeps friction at bay. The low amount of hysteresis results in excellent short stroke/high force performance. The TTX 46 strut damper can be modified to fit a wide range of car types and models. Available in both 2 way and 4 way adjustable. Through rod technology removes gas pressure from the piston shaft reducing friction tremendously. The perfect complement to the TTX 46 strut damper, the TTX 40 damper can be modified to fit a wide range of car types and models. Available in both 2 way and 4 way adjustable. Through rod technology removes gas pressure from the piston shaft reducing friction tremendously. A more economical compliment to the TTX 46 Strut damper. Available in both 2 way and 4 way adjustable but in a non through rod application. The inline reservoir creates a compact package as there is no need for an external reservoir.